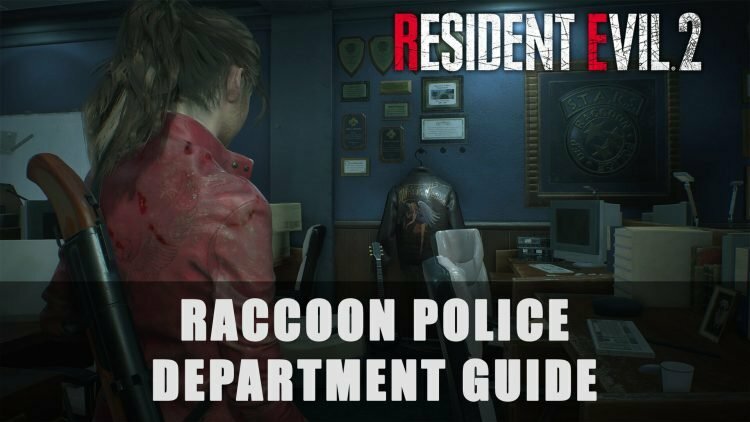 In this Resident Evil 2 Raccoon Police Department Guide, I’ll be guiding players as they control Leon S. Kennedy or Claire Redfield. 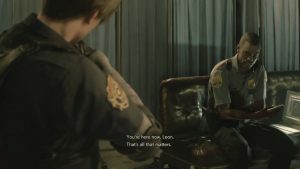 Resident Evil 2 is a survival horror game developed and published by Capcom that released worldwide January 25, 2019 for PC, PlayStation 4, and Xbox One. Learn how to get through the Raccoon Police Department in one piece with our guide! 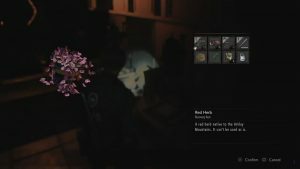 If you are new to the game, make sure to check out our Getting Started Guide and RE2 Trophy Guide as well! The Raccoon Police Department will be the first area players encounter. Upon starting, head towards your right to interact with the lever with the glowing red light. 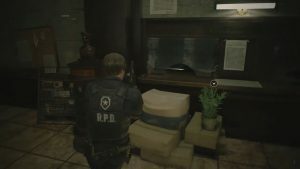 It will turn green, which allows players to crouch and crawl under the “keep out” sign of the R.P.D grill. There will be a hallway towards the left and a breaker type object. It appears that a spark plug is missing from it. Head down the hallway until you reach the vending machines, there will be another hallway to the right. Players will reach an overturned locker that they must set back into place before proceeding. If players like, they can forgo the locker to explore the white doors that leads into a room. There is a light switch on the right wall, head towards the small red light. This will allow the player to see the dead body on the floor that will possess Handgun Ammo. Head back towards the lockers, push it back in place and proceed down the hallway. There will be an opening to the left where players can enter a restroom. In the second stall from where you enter, you will find a first aid spray. Head back towards the hallway making your way to the Hydrant object and make a right. Follow the path until you hear a person yelling at you to let him out behind a chained door. There will be a window that can be interacted with, however head inside the wooden door opposite of the window instead. Approach the Fire Safety Door, interact with it to watch a gruesome cutscene. Afterwards, players will obtain the Officer’s Notebook. Once you find the Notebook a zombie in officer attire will enter the room. Shoot him once and bypass him quickly, or take him out (ideally with headshots to conserve bullets). Leave the room, to your left will be a door that can be interacted with, but cannot be opened at this time so head back towards the initial spawn point. Be careful as there will be 2 more zombies awaiting your arrival in the hallway where the locker resides. Players will meet Marvin Branagh during a cutscene, obtaining a combat knife from him. In the same room as Marvin will be a lobby-esque area. Here players can find 6 Handgun Ammo, a typewriter, and a chest. Heads towards the taped up breaker and interact with it to using your newly acquired knife to gain access to the inside. Pulling the lever will cause the metal grill to rise, allowing players to explore the new section. On a couch players will discover Handgun Ammo and opposite of that location will be a green plant, Green Herb. Head towards the back of the room to find a door to open. There will be a dark hallway that has a gruesome former cop on the left. From that location will be an impaled cop on a pipe, and underneath towards the right will be another locked door. Continue down this hallway to find a breezy window, it will eventually give way to a zombie whose trying to break in, and leads to a pair of red doors. 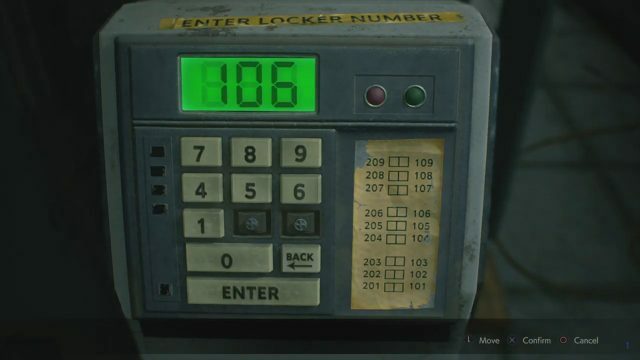 Inside players can find the Weapon Locker Key Card lying on a table, while to the left of that location will be some Handgun Ammo on a stack of chairs. 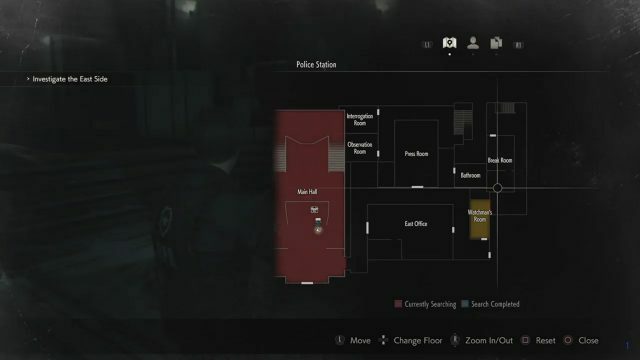 Further in the room you will come across a record of events, this will occur in the Police Station, as well as the Police Station first floor Map. Locate the yellow tape covered box and use it to climb through the broken window. To the left will be a dead body that has some Handgun Ammo, while further down the corridor will be a distracted portly zombie, allowing players slip past towards the right and enter the room. Located in this room will be several ammo lockers that may be unlocked. While heading towards the back of the room, the portly zombie will find his way into the room so be sure to take him out. 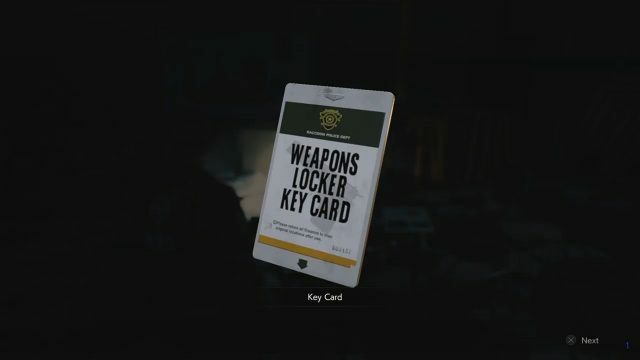 Use the Key Card obtained earlier to unlock the W-870 Shotgun and a few Shotgun Shells. Exit the room and head across the hall into the room opposite. There lies a hunched over zombie, gunpowder, and how to combine gunpowder to create more bullets. Turn around towards your right to find a locker that contains some Handgun bullets. Leave the room then head towards a bloody couch. Take the pathway to the left of the couch; this should take you in the direction of the Darkroom. To the right of the window you will find another Green Herb and a Wooden Board. To the right of the Wooden Board will be a room that contains a book explaining the different herbs effects, a chest, and a Red Herb. Inside the lockers will be more gunpowder and ammo. Exit the room and take the stairs up, check the dead body for some ammo. On this floor (2nd floor), the closest door will lead to the restroom that has some ammo in one locker and a corpse in another, while at the end of the hall will contain another Red Herb. Head upwards towards the 3rd floor to find some Handgun Ammo and a key (Spade Key) sitting on a desk. In the West Storage Room there will be a Wooden Board laying on the floor and a Hip Pouch. 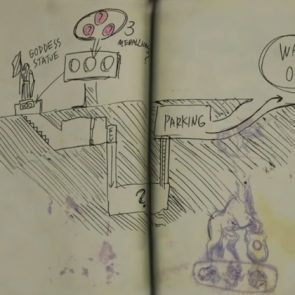 Once players reach the Library, Marvin will recall Leon, so descend the stairs and take out the 3 zombies scattered around the room. Enter the back door to find another Puzzle along with the Police Station Upper Floors Map. Exit through the main door to get back to Marvin who will show you Claire and instructs you how to reach her. Proceed to the East Side of the 2nd Floor, use the Spade Key, and follow the hallway until you encounter the helicopter crash. Pick up the Bolt Cutters and use the new key item to open previous lock areas. Cut the door in front of you, enter the room, and head towards the back left to find the Round Handle. Exit that small room, make a left and inspect a desk for the Electrical Part. 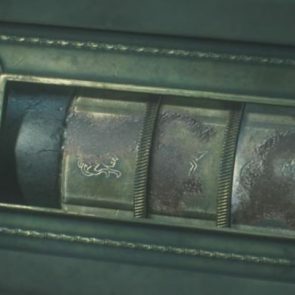 This allows players to fix the metal shutter they crawl through in the beginning of the game. Run back to the Operations Room to cut the chains there to find the Electronic Gadget. Proceed to the Shower Room that is on the 2nd Floor and use the Valve obtained earlier to stop the steam. Go through the newly opened path and head to the S.T.A.R.S Room. In this hallway players will find a Licker so approach slowly. In the S.T.A.R.S. Office, there will be a small office to the left that will house the Battery. Combine the battery with the Electronic Gadget to obtain the Detonator. Make your way back to the 3F Storage Room and use the Detonator on the C4 there to blow up the sealed off section. 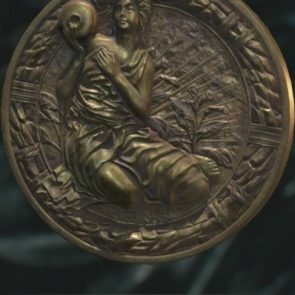 This allows players to solve the Maiden Statue’s puzzle to obtain the final medallion. Head back towards Marvin to open the underground passageway and get ready for your first boss fight. The Lion Statue located in the Main Hall on the second floor solution is: Lion, Plant, Bird. 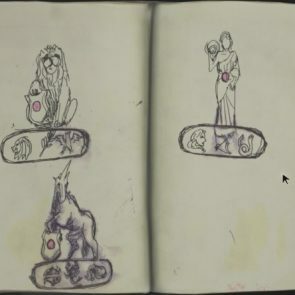 Solving the puzzle will grant the player the Lion Medallion. The Unicorn Statue located in the Lounge on the first floor solution is: Pair of Fish, Scorpion, Water Jug. Solving the puzzle will grant the player the Unicorn Medallion. The Maiden Statue’s solution is Lady, Bow, Snake. Solving the puzzle will grant the player the Maiden Medallion. In the Safety Deposit Room, there will be 2 lockers that can be opened by using the code 106 and 109 which contain a roll of film that needs to be used (developed) in the Dark Room and some Ammo. On the second floor in the restroom with the steam valve broken will be a locker with a wordlock. Enter CAD to obtain the Shotgun Ammo inside. On the third floor there will be a locker with another wordlock. Enter DCM to obtain the Mag Ammo. 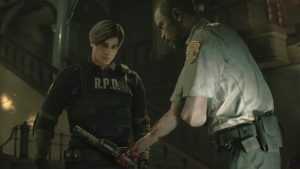 If you enjoyed this guide about Resident Evil 2 be sure to check out our Resident Evil 2 Remake Review, Resident Evil 2 Remake Trophy Guide, Resident Evil 2 Getting Started Tips, RE2 All Weapons, Upgrades & Combinations, and many more upcoming guides and news!